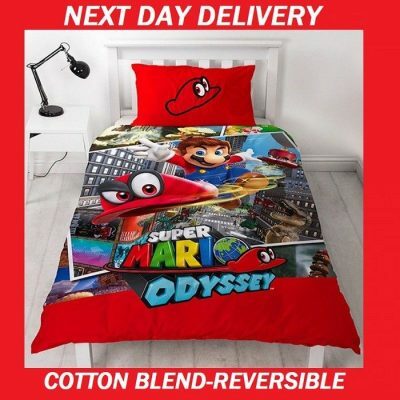 This Nintendo Super Mario single quilt doona cover set is ideal for gamers of all ages. 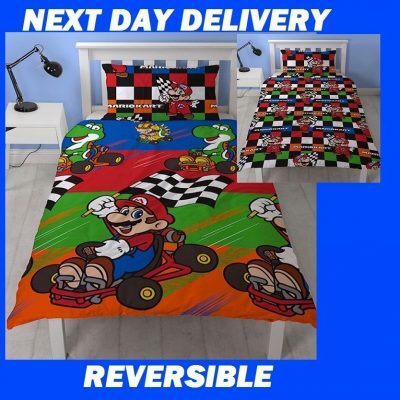 The detailed design features Mario, Luigi, Princess Peach, Toad and Bowser racing on an outdoor themed track, while the reverse has Luigi and Mario on a white background patterned with stars and chequered lines. 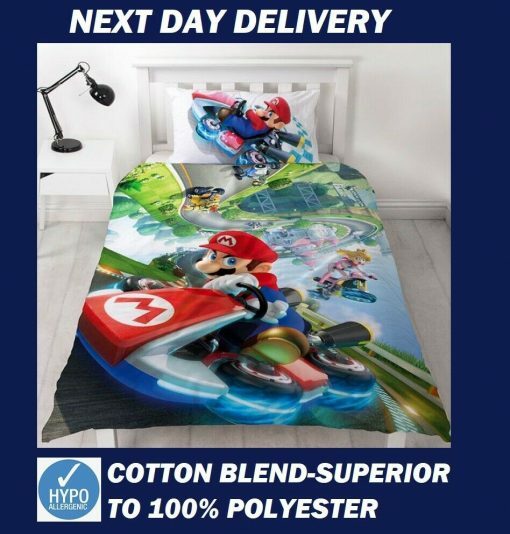 This cotton mix bedding set can be machine washed and tumble dried on a low setting. 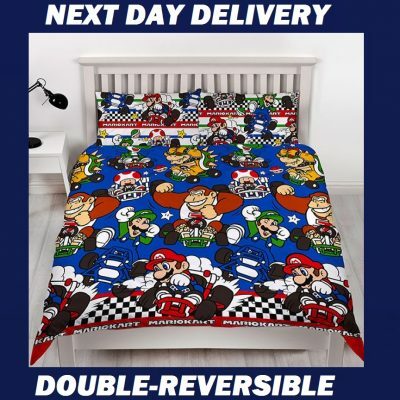 We gladly accept returns within 30 days of purchase. Item needs to be returned in it’s original packaging and not used. Return postage back is at buyers expense in the event of buyer remorse or wanting to change to different item.